Bridget was away at Girl Guide camp this weekend and Claire was "so lonely without her sister to play with". Bridget missed Claire just as much, though she had a fantastic time at camp...even experiencing a fire alarm going off in the night which forced an abrupt change in the sleeping arrangements. 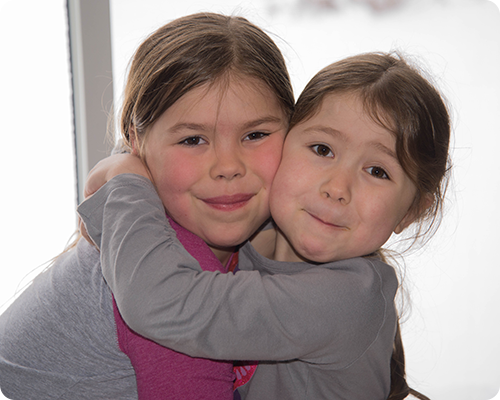 After a weekend apart, many sister hugs were needed, and there was some serious playing going on Sunday afternoon.